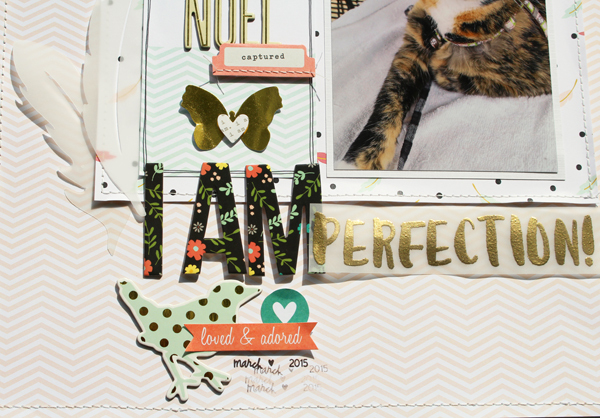 Do you love the new April Scraptastic Club Kits?! If you haven't seen all of them and the stamps, check them out HERE. 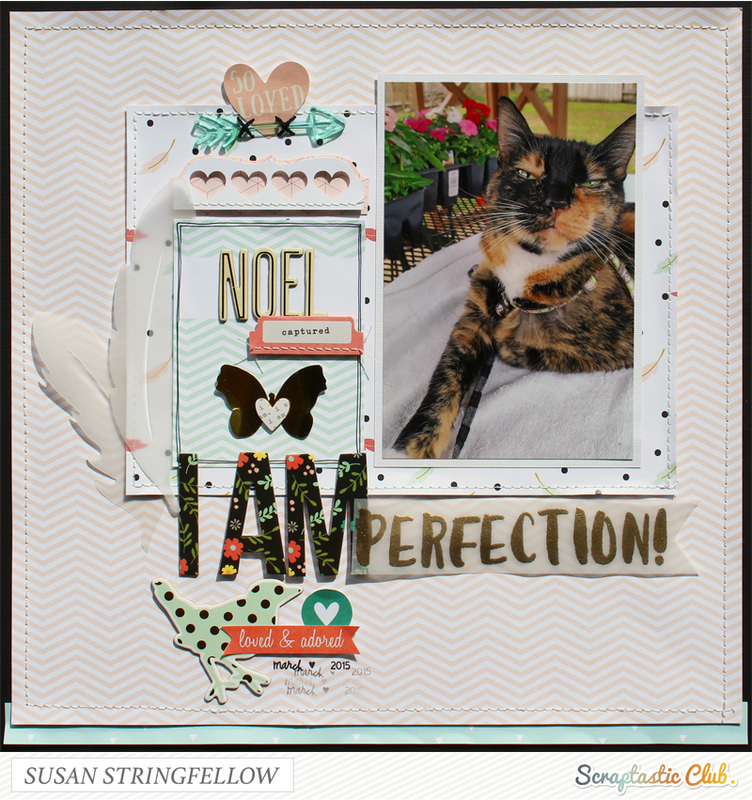 I am using the Darlene kit, Add on Kit, Digital Print and Cut files, and Stamp Set for this layout. Noel does believe that she should be worshiped so this is definitely Noel captured. 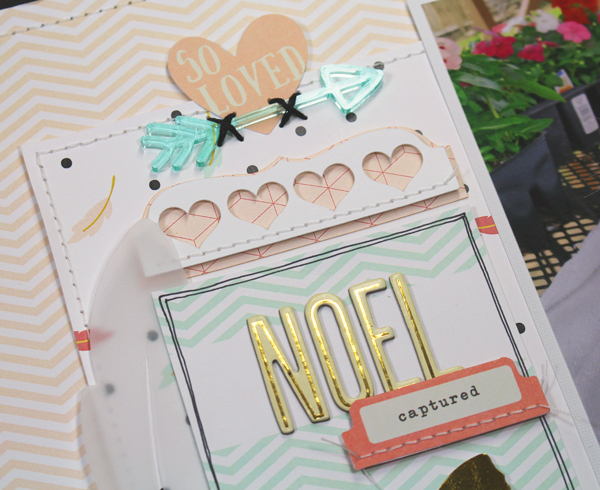 I just have to point out the awesomeness of this aqua clear acrylic arrow that is one of the Scraptastic kit exclusives - so cute! I used the kit cut files to cut a couple of large feathers from clear vellum and I love the effect. The title is stamped using the perfect alphabet "Darlene" Stamp Set HERE. Here is a look at the whole stamp set. Wow, I love vellum and gold touch....I think that together are very sophisticated!